Meaning of Extension .ug is the official country domain (ccTLD) from Uganda. 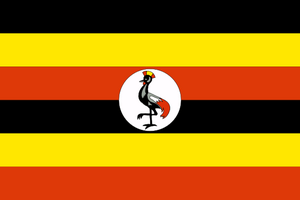 The Republic of Uganda is a landlocked East African state bordered by the countries of Kenya, Tanzania, South Sudan, Rwanda and the Democratic Republic of Kongo. English and Swahili are the official languages besides an additional 41 other spoken languages of the many different ethnic groups. Uganda has a total population of 34.5 million people, with the most populated city being the capital Kampala. The country has an area of 236,860 km2 and is located in the climatic zone of tropic high plateaus. The multi-ethnic country is home to more than 40 groups with several ethnic backgrounds and is counted amongst the Commonwealth of Nations as well as the African Union. The African nation gained independence from the United Kingdom in 1962 and has been ruled by Yoweri Kaguta Museveni under a presidential system since 1986. After overcoming militaristic conflicts with their neighbouring countries and liberating itself from an old regime, the nation has been developed into a safe place with an emerging economic market. The East African country had a nominal GDP of 18.078 billion USD in total in 2012 and is ranked 108th in worldwide comparisons of economic performance. Tourism is one of the main sources of income and has demonstrated an economic upturn due to a stable political situation and extensive investments in infrastructure over recent years. Uganda is a popular destination for tourists, who come to visit the national parks with their exotic wildlife and stunning landscape panoramas. The East African nation is also an important market player in the export of coffee and tea, as well as fish from Lake Victoria. Furthermore, it is a gold-exporting nation. A .ug domain is not only interesting for Ugandan companies and organisations. As, for example, the ending .ag for Aktiengesellschaften (public limited companies), the top-level domain from Uganda is a popular solution for Unternehmergesellschaften (haftungsbeschränkt), a company with limited liability and insufficient share capital in Germany. Would you like your own .ug TLD? Register your desired name here with your registrar InterNetworX! 1For new registrations plus 8.4061 one-time fee.